Martyr (251 to 253). We may accept the statement of the Liberian catalogue that he reigned two years, three months, and ten days, for Lipsius, Lightfoot, and Harnack have shown that this list is a first-rate authority for this date. His predecessor, Fabian, was put to death by Decius, 20 January, 250. About the beginning of March, 251 the persecution slackened, owing to the absence of the emperor, against whom two rivals had arisen. It was possible to assemble sixteen bishops at Rome, and Cornelius was elected though against his will (Cyprian, Ep. 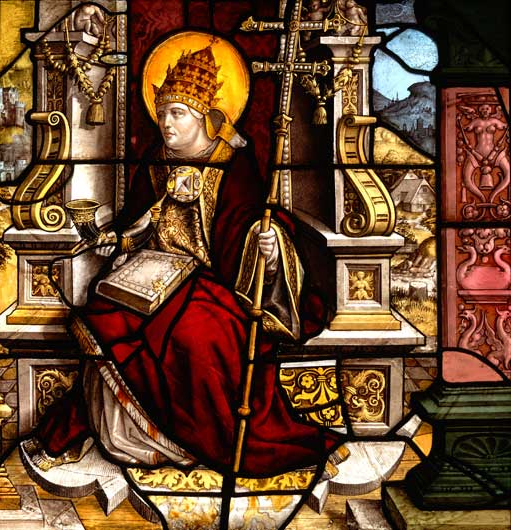 lv, 24), "by the judgment of God and of Christ, by the testimony of almost all the clergy, by the vote of the people then present, by the consent of aged priests and of good men, at a time when no one had been made before him, when the place of Fabian, that is the place of Peter, and the step of the sacerdotal chair were vacant". "What fortitude in his acceptance of the episcopate, what strength of mind, what firmness of faith, that he took his seat intrepid in the sacerdotal chair, at a time when the tyrant in his hatred of bishops was making unspeakable threats, when he heard with far more patience that a rival prince was arising against him, than that a bishop of God was appointed at Rome" (ibid., 9). Is he not, asks St. Cyprian, to be numbered among the glorious confessors and martyrs who sat so long awaiting the sword or the cross or the stake and every other torture?